Monster action sequel co-written and directed by Michael Dougherty. The new story follows the heroic efforts of the cryptozoological agency Monarch as its members face off against a battery of god sized monsters, including the mighty Godzilla, who collides with Mothra, Rodan, and his ultimate nemesis, the three headed King Ghidorah. When these ancient superspecies, thought to be mere myths, rise again, they all vie for supremacy, leaving humanity’s very existence hanging in the balance. Madison Russell: Hello? Is anyone there? I’m trying to reach… I’m trying to reach Monarch. Dr. Emma Russell: Our world is changing. The mass extinction we feared has already begun, and we are the cause. We are the infection. But like all living organisms, the earth unleashed a fever to fight this infection. It’s original and rightful rulers, the Titans. For thousands of years these creatures have remained in hiding around the world. And unless all the Titans are found, our planet will perish, and so will we. They are the only guarantee that life will carry on. Dr. Emma Russell: I’m sorry, but this is the only way! Madison Russell: You’re a monster. Dr. Emma Russell: I’m sorry. Man: Long live the king. Sam Coleman: What we are witnessing here is the return of titans. Sam Coleman: Senators, we believe that these titans are just the tip of the iceberg. Which of these titans are here to protect us, and which of these titans are here to threaten us? Senator: So you’d want to make Godzilla our pet? Madison Russell: Are you sure he’s going to be okay? Dr. Vivienne Graham: They’re everywhere, battling for dominance. A rival alpha to Godzilla. Barnes: You’ve got to be kidding. Dr. Ishiro Serizawa: Seventeen and counting. Mark Russell: They’re moving like a pack. They’re hunting. They all respond directly to an alpha. We stop this Ghidorah, we stop them all. Elizabeth Ludlow: Is there another creature that might stand a chance against him? Dr. Emma Russell: Our planet will perish, so will we. Unless we set Godzilla free. Dr. Stanton: Oh, yeah, sure. Let’s bring him for a beer. Mark Russell: No, this time we join the fight. Barnes: This is Godzilla’s world, and we just live in it. 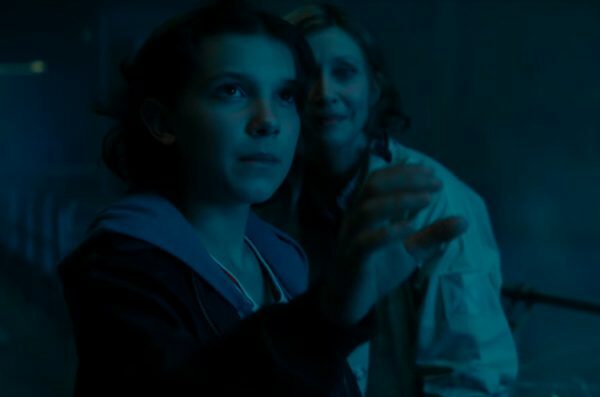 What do you think of Godzilla: King of the Monsters quotes? Let us know what you think in the comments below as we’d love to know.